Andrea Atzeni missed three rides, including Balmoral Handicap winner Sharja Bridge, at British Champions Day at Ascot on Saturday after being informed, at the last minute, by the British Horseracing Authority (BHA) that he would have to serve both days of a two-day ban imposed by the French racing authority, France Galop, after all. 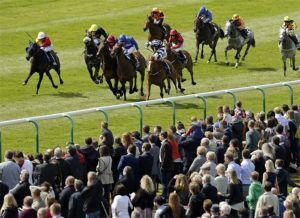 However, the Italian jockey could be in for an altogether more satisfactory, and rewarding, experience at Newmarket on Wednesday, starting with Prefontaine in the British Stallion Studs EBF Nursery (3.45). Being by Mastercraftsman out of a Hurricane Run mare, Roger Varian’s colt has plenty of stamina in both halves of his pedigree and, unsurprising, has improved with each start as he’s gradually stepped up in distance. He opened his account on his first attempt at a mile and a quarter in a similar race at Nottingham two weeks ago and, although raised 7lb for that success, may be able to continue his progress. The Rowley Mile Course at Newmarket, on which the ability to see out the trip thoroughly is essential, should play to his strengths and, while the Nottingham form has yet to be fully tested, his previous effort, when runner-up to the 90-rated Cap Francais over a mile at Haydock, looks strong in the context of this race. Fellow distance winners Just Hubert and Fearless Warrior are likely to make sure he doesn’t have things all his own way, but both make their handicap debuts off seemingly high enough marks, so Prefontaine looks a decent bet to follow up his Nottingham victory.